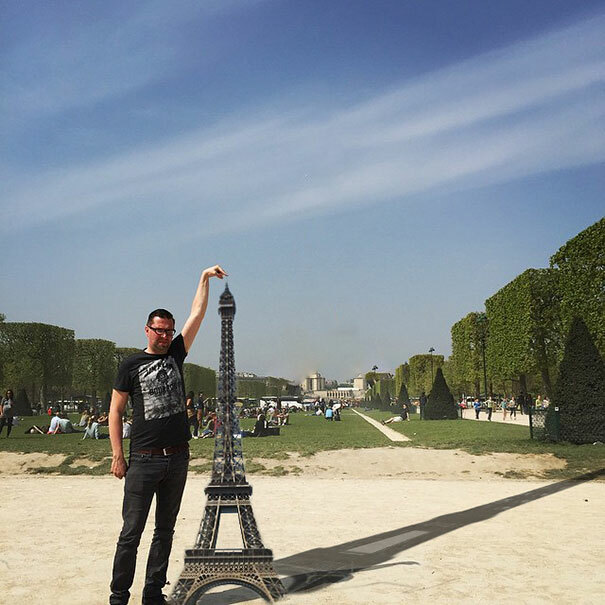 Be very careful when you ask someone on the Internet to photoshop something for you, because you might just get what you asked for. 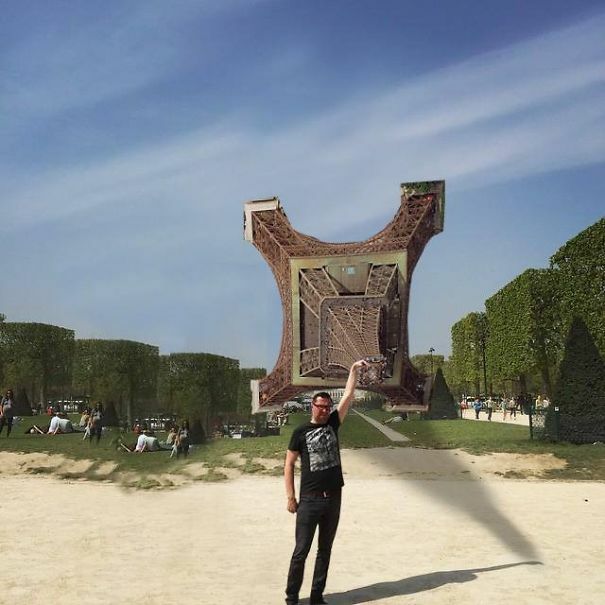 That’s what happened to Dutch food blogger Sid Frisjes when he took a gag tourist photo of himself trying to touch the top of the Eiffel Tower and asked the online 4chan community to Photoshop it for him. 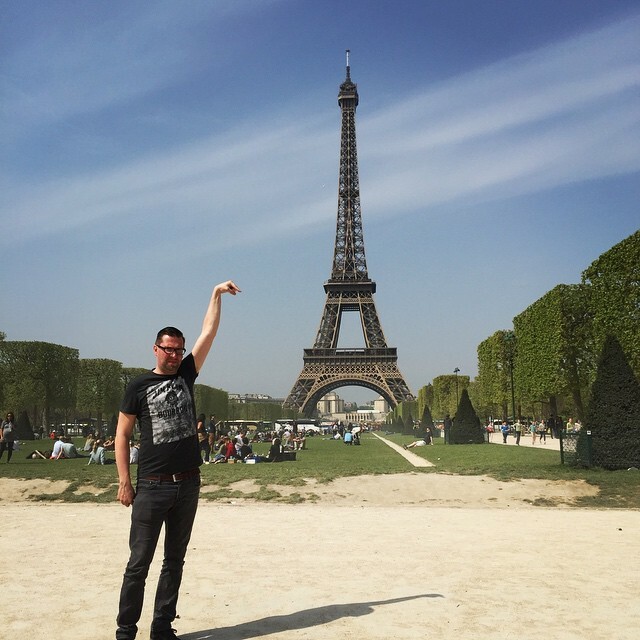 “Can someone photoshop the eifeltower under my finger?” he asked. 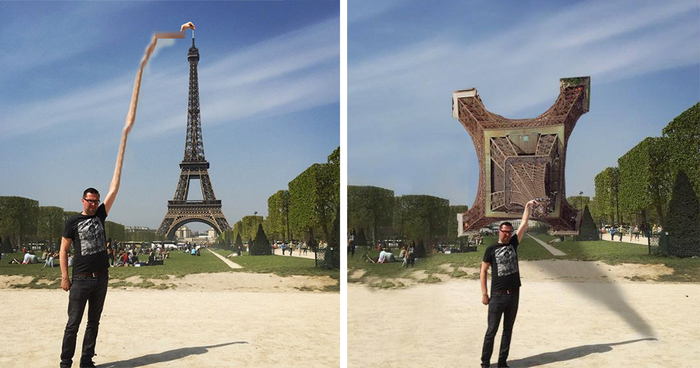 The Photoshop “experts” replied with various interpretations of Frisjes’ request, each more hilarious, creative and bizarre than the last.